Manage your money in a modern way. UK challenger Starling Bank is a 100% mobile only bank account with a sort code and account number, enabling faster payments, worldwide contactless Mastercard debit, recurring transactions, interest accrual, and no account fees. 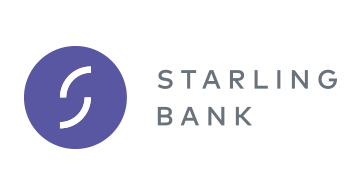 In a UK banking first, users are able to load a card to their Apple Wallet within the Starling Bank app. Seamless and secure Android Pay is also supported. With 24/7 support, speedy set up and smart tools that keep up with your lifestyle, the full service current account app is focused on clarity and control. There’s all sorts going on behind the scenes at Starling Bank as well. From the addition of digital wallets, virtual cards and new feature Savings Goals, we’ve got plenty brewing. Starling Bank is part of London & Partners’ London Fintech Lounge at Money20/20 Las Vegas.